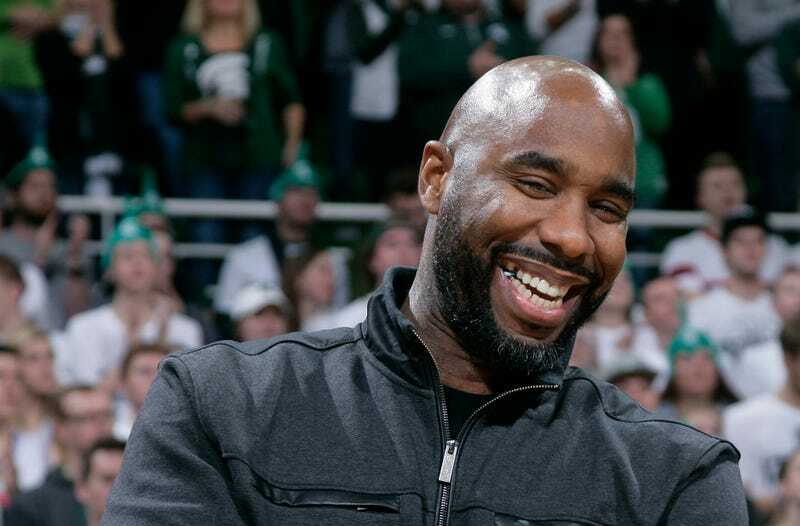 Former Michigan State basketball star and NBA player Mateen Cleaves has been charged with multiple counts of sexual assault following an alleged assault on a 24-year-old woman. According to Worthy’s office, Cleaves and a group went to a local bar after the golf outing to have drinks. At 1 a.m. Sept. 15, the group left the bar. The prosecutor’s office said the woman left with Cleaves in his car, thinking they would return to the golf club. Cleaves allegedly then took the woman to a motel located in the 2400 block of West Grand Blanc in Mundy Township and held her there against her will. He then is accused of sexually assaulting her. The woman was able to escape from the room and received assistance from another woman in a nearby room, Worthy’s office said. The charges against Cleaves carry a possible prison sentence of 15 years.